HOLLYWOOD – Timothée Chalamet rumored to play young Nick Cave in Australian rocker’s biopic. Chalamet said he was enthused by the project. 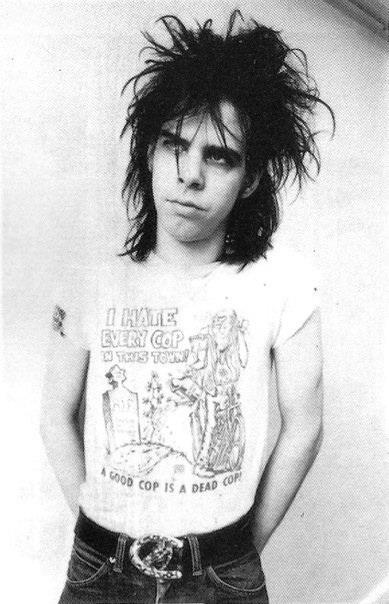 I’m a huge Nick Cave fan. I even read his awful novel. This will be the third time that Nick Cave’s life has been the subject of a movie. William Hurt starred in The Weeping Song in 1998 directed by Werner Herzog. And in 2003 Gary Oldman played Cave in Russell Crowe’s The Water Diviner. Young Nick comes out in 2020. Oh I get it, it’s a lie. I hate the net.